← Congrats to Roco Pocket Guide winners! Rescuers work to free man trapped in trench. Roco Chief Instructor Randy Miller explains that trench collapse injuries and/or death is way too common in civil construction, and industrial maintenance projects. The sluggish economy entices organizations to cut corners, after all – time is money. Watch this new video on the importance of Trench Rescue Training, where Miller describes hazards of trench work, and offers 5 tips for safer trench rescue practices. Watch the Roco Trench Rescue Video for 5 Trench Tips that could save a life. 1. Personal accountability – Know where all your rescuers are at all times. 2. Keep the area clear – Often the first reaction in a trench collapse is to look, which adds more weight on the sides of the trench, increasing the likelihood of collapse. 3. Work from a safe area – Spread out the weight around the trench (e.g. laying wood down around the trench before stepping near or around it). 4. The best trench rescue is a “non-entry” rescue – If possible, get the trapped victim to begin digging himself out by giving him the right tools, right away. This gives the victim something to focus on while first responders develop an action plan. 5. Donʼt get in over your head – If you are not trained, wait. Donʼt create more victims. Miller urges all first responders (EMS, fire department, police department, and industrial rescue teams) to receive at minimum an Awareness level of training in Trench Rescue. First line supervisors are encouraged to advance to the Technician level training. Roco offers a 20-hour Trench Rescue Technician training course. 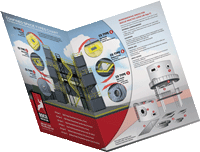 To learn more about Roco’s Trench course visit our website or call 800.647.7626. Rescue Talk is a group of seasoned rescue professionals and communicators providing relevant content to the rescue community, primarily through Roco Rescue OnLine. Rescue Talk and Roco Rescue OnLine are owned by Roco Rescue, Inc. These assets have been created as a resource for sharing insightful information, news, views and commentary for our students and other rescuers. This entry was posted in Articles, News & Views, Tips & Techniques and tagged confined space entry teams, confined space rescue, EMS training, EMS training school, ESUX Florida State Fire College, Hagerman, industrial safety training, Randy Miller, rescue techniques, rescue training, Roco Chief Instructor, Roco Rescue instructor, Roco Rescue Trench and Structural Collapse, Roco resuce, Roco Trench Rescue, safety training, structural collapse, trench and shoring training, trench and structural collapse, Trench Collapse, trench rescue, trench rescue training. Bookmark the permalink.